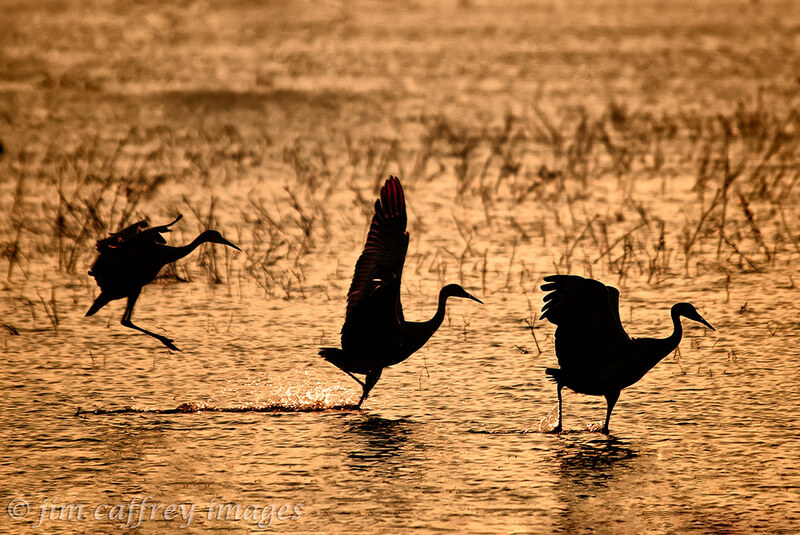 Bosque del Apache National Wildlife Refuge is one of those places that keeps drawing me back. I make an annual pilgrimage there in November (the weekend after Thanksgiving to be exact) to pay homage to the cranes, and of course to photograph them. OK, so why am I writing about this in June? Well, it’s at about this time that I start to look forward to this year’s trip. 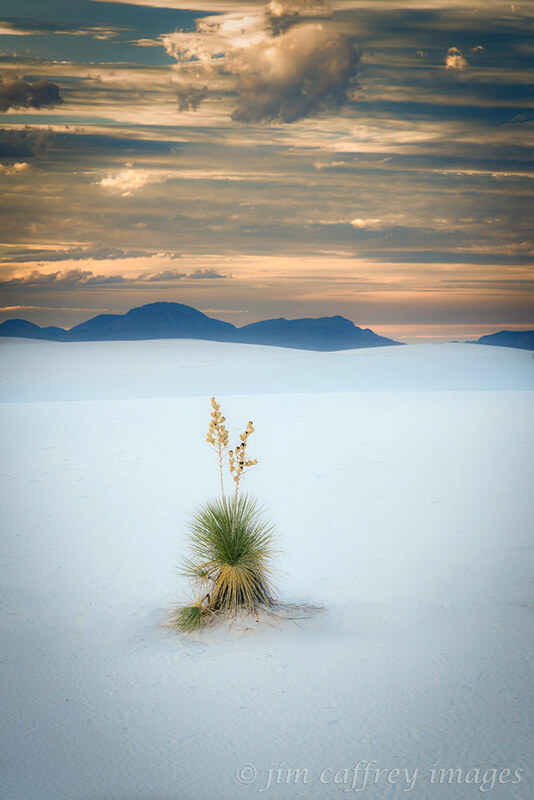 I’ve posted about the last one, but I have since found some images that were not included in the post that (I think) deserve to see the light of day. 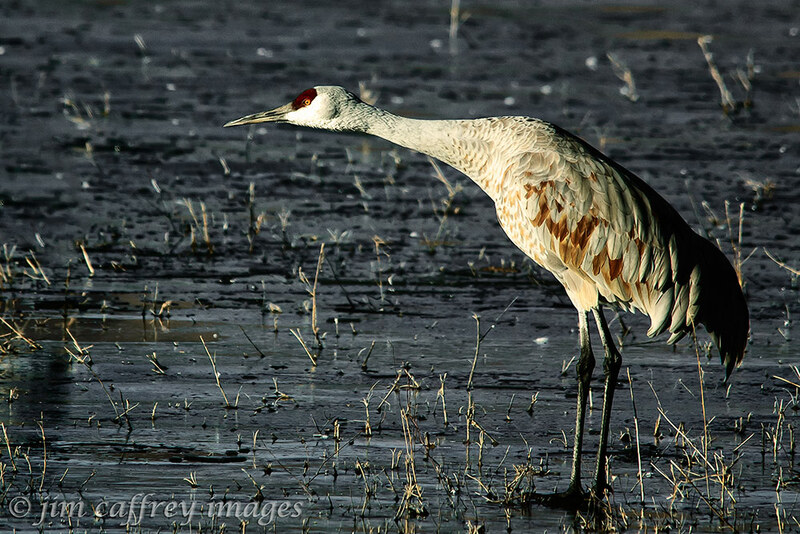 Sandhill Cranes have very specific habits related to their behavior. The first image shows a crane readying himself for take-off. He leans forward into the wind perhaps to get a feel for the speed, direction, etc. This serves as a great heads-up for onlookers, passers-by, and frozen photographers that the action is about to start. I caught this pair right after they took off from the Chupadera Pond. Robin and I (along with about twenty other photographers) had been waiting since sun-up for this. There were about five hundred cranes in this particular group. They went through their rituals for nearly three hours before they had all left the pond. At times they would take wing only to land again and start the whole process over. These last two images are my favorites from that trip. The trio above was captured at sunset. Cranes usually fly in a group. These three were landing at the Flight Deck Pond. They were coming back from a day of foraging to roost in the pond where they are relatively safe from predators. I found this Great Blue Heron wading along one of the ditches on the refuge. 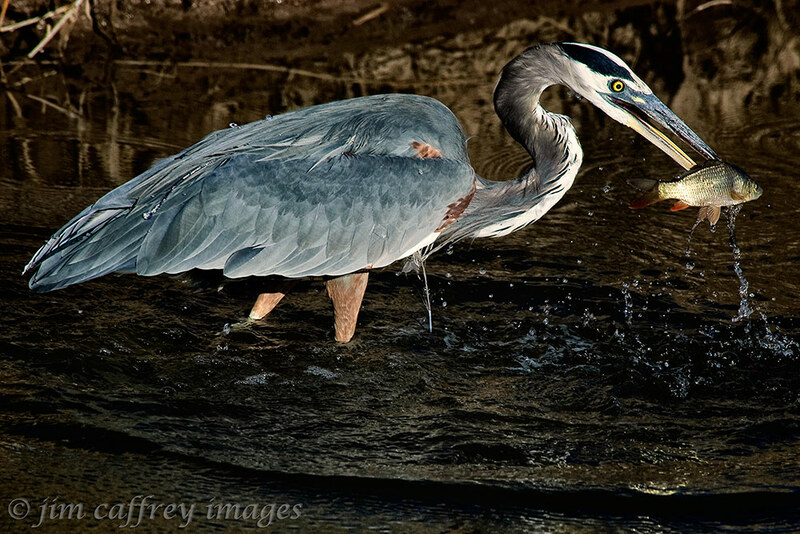 Unlike cranes, herons are solitary creatures. This one didn’t seem to mind when I set up my tripod (at a reasonable distance) and followed him up the channel. At one point, he stopped and became very focused; I knew he was about to strike, so I was able to anticipate this moment successfully. To those of you who are close by, or who may be traveling in this part of the world, I recommend a visit to Bosque del Apache. 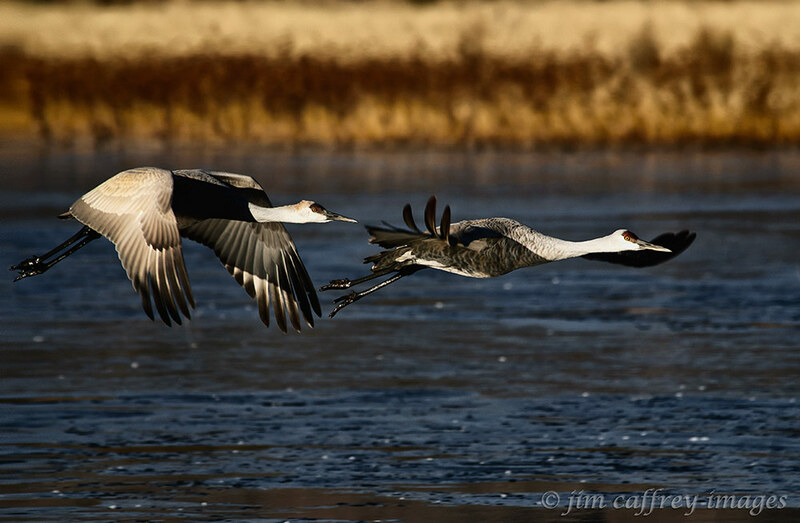 The best time to catch the cranes is November-February.